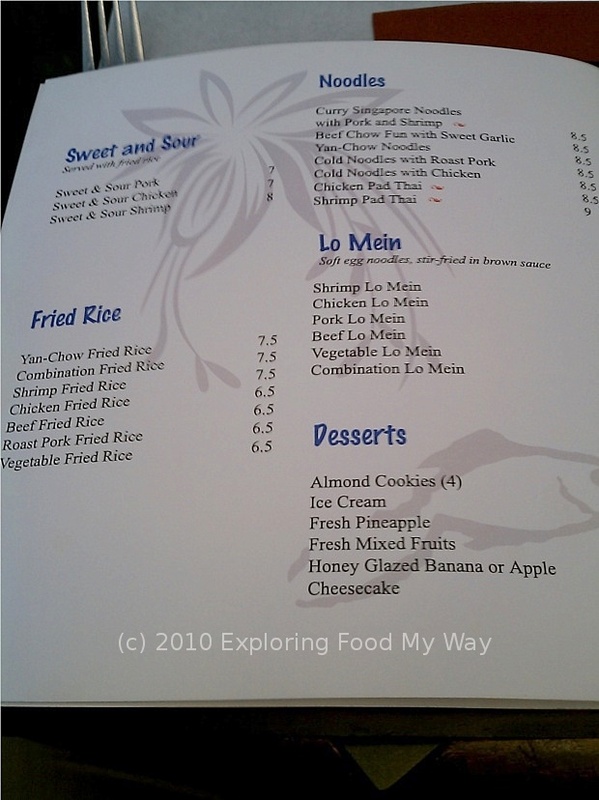 Exploring Food My Way: Satisfying the Craving: But Doesn't "Ma La" MEAN Spicy And Numbing? But Doesn't "Ma La" MEAN Spicy And Numbing? Due to a personal commitment, I needed to travel to Pittsburgh, Pennsylvania to meet up with some new acquaintances. We decided that the small, core group of us would meet up for lunch first and then depending on how that went, expand the group to include others for dinner as well. 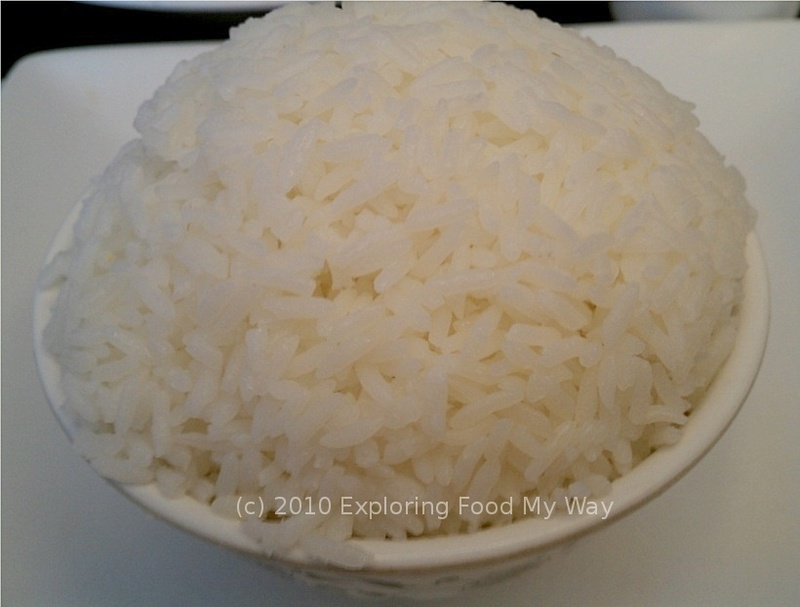 When it somehow came up that I was a food blogger (honestly, I wasn't the one to spill the beans this time), it became clear that picking a spot would fall squarely on my shoulders. Given that both myself and the people I would be meeting were staying on the west side of Pittsburgh near the airport, I decided to focus my search there. I also needed to take into consideration that my hotel room, in the worst case scenario, might not be ready until 3 PM so I needed to make sure I had something to do in case lunch was done early. Enter IKEA. It's on the west side of Pittsburgh over by the airport and it has been ages since I've been able to swing a trip. I figured I'd find a nice local place to eat that was close to the mega-store and in the event I was done early, "Bazinga!" (as Sheldon Cooper would say), I could kill two birds with one stone. What I didn't realize as I began to localize my search to that part of town was that it was essentially filled to the brim with every national chain restaurant I could name. 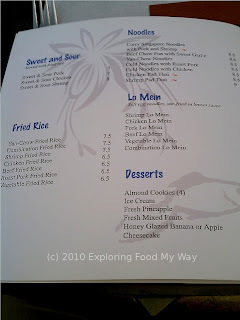 Of the few local places I stumbled upon, feedback on the web was consistently bad. I've learned by now that the reviews people leave that are either all in capital letters or in the extreme (positive or negative) are usually not all that helpful. It's the well-thought out reviews that seem to have been written by a calm and reasonable human being that I find the most helpful. 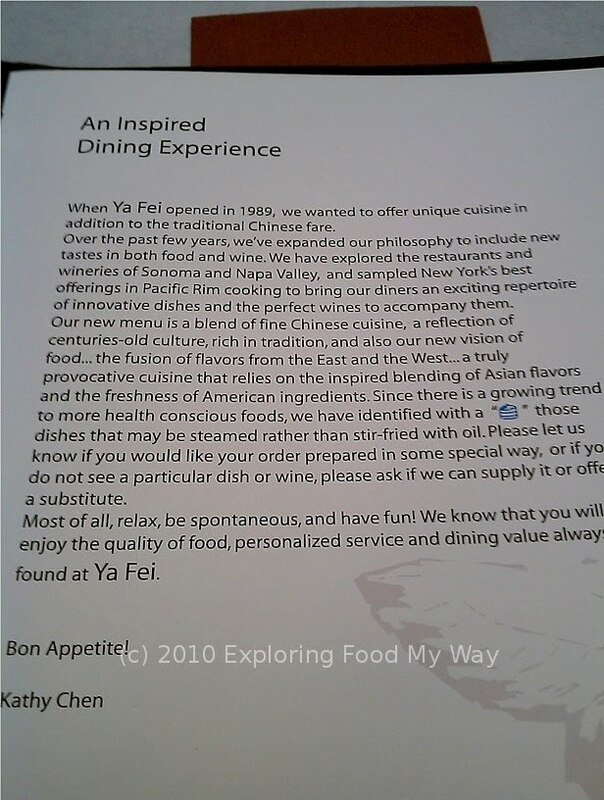 And so it was that I stumbled upon Ya Fei, Incorporated. Feedback seemed a little mixed, but overall it was fairly positive. 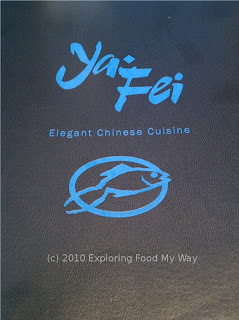 Knowing that most people like both Chinese and Italian food, I took a chance and suggested it to my dining companions. They agreed and we met up for lunch at noon on a Saturday. 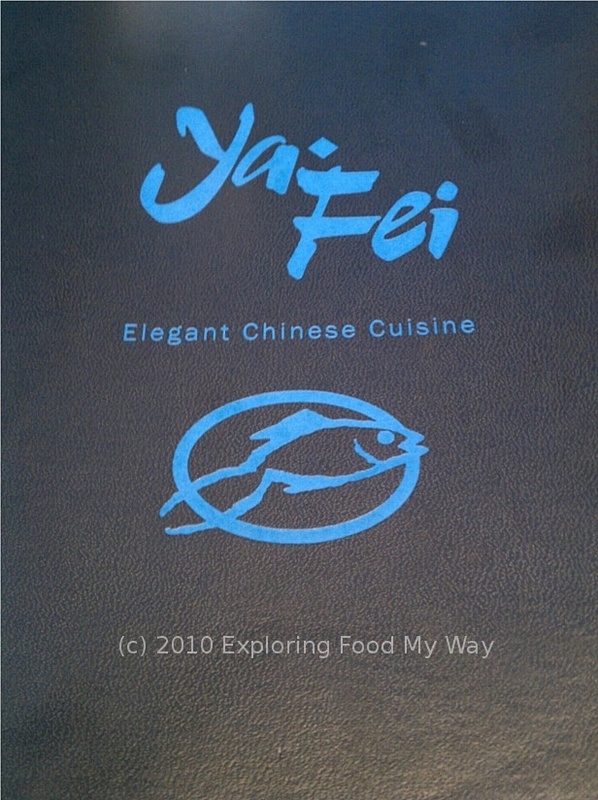 As it turned out, Ya Fei was literally right across the street from IKEA, so it couldn't have been a more perfect spot. 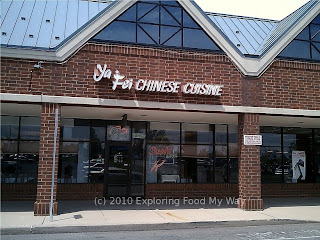 Specifically, the restaurant was located at 1980 Park Manor Boulevard, Pittsburgh, PA 15205 in the Robinson Towne Centre. They can be reached at 412-788-9388. Parking was in the massive lot outside the strip mall. 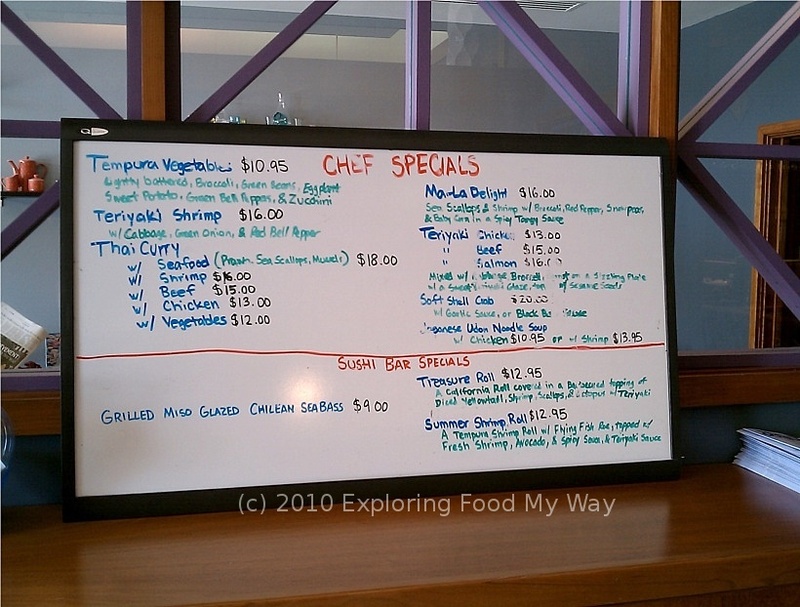 What caught my eye was the dish listed on the top right hand side of the board, "Ma-La Delight." I struck up a conversation with the woman standing behind the hostess stand who I think might have actually been the owner as she seemed quite knowledgeable. I asked her if the "Ma-La" actually referred to the spicy and numbing sensation created in the mouth when using real Szechaun peppercorns. She said that indeed they were and stated that only a few years ago, because of an FDA regulation, these peppercorns weren't even available in the United States. I asked her if they used the peppercorns in another Szechuan favorite of mine, Ma Pa Dofu (aka Ma Pa Tofu). 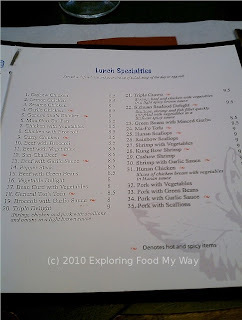 She stated that they didn't and only saved the Szechaun peppercorns for special dishes like the one on the menu today. She finished the conversation by complimenting me on my knowledge of Chinese food and I graciously thanked her for the compliment. 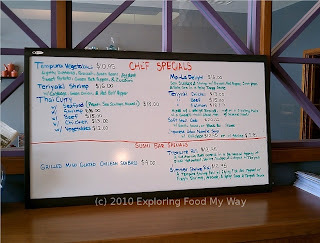 Honestly, while I did give the menu a cursory glance, I was still thinking about the special menu item and how good it would be to eat a dish made with authentic Szechuan peppercorns. I considered adding a side dish, perhaps an egg roll or a spring roll. 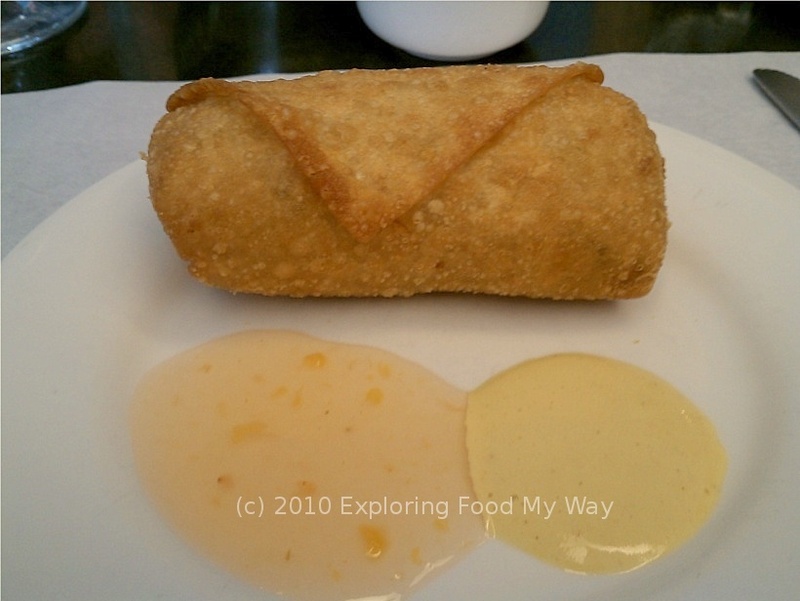 As it turned out, my dining companion decided to order a combination platter that came with an egg roll which she didn't want. 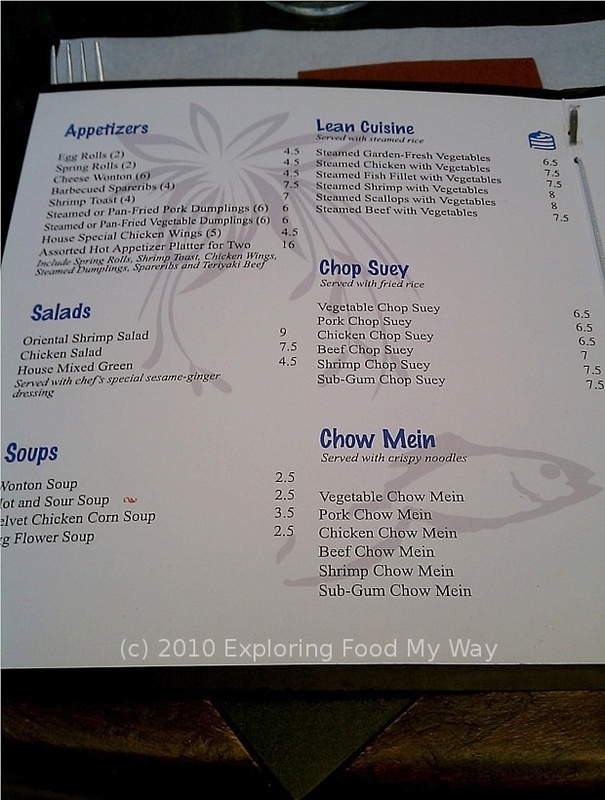 When it came to placing our order, the rest of the crowd ordered what I would consider to be more Americanized Chinese fare. 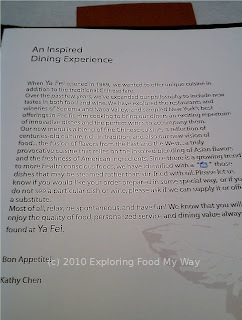 The interesting item to note at Ya Fei was that for many of the dishes, you can have either a brown sauce or a white sauce, spicy or not spicy. In fact, our server asked each individual person those questions. When it came time for me to place my order, I asked for the Ma-La Delight. When she didn't ask me if I wanted it spicy or not, it didn't seem out of place because I had just been talking with the woman at the hostess stand about this very topic. Why would you order such a dish if you didn't already expect it to come out of the kitchen prepared with a minimal amount of heat and spice? I bet, gentle reader, you can already guess where this is heading. 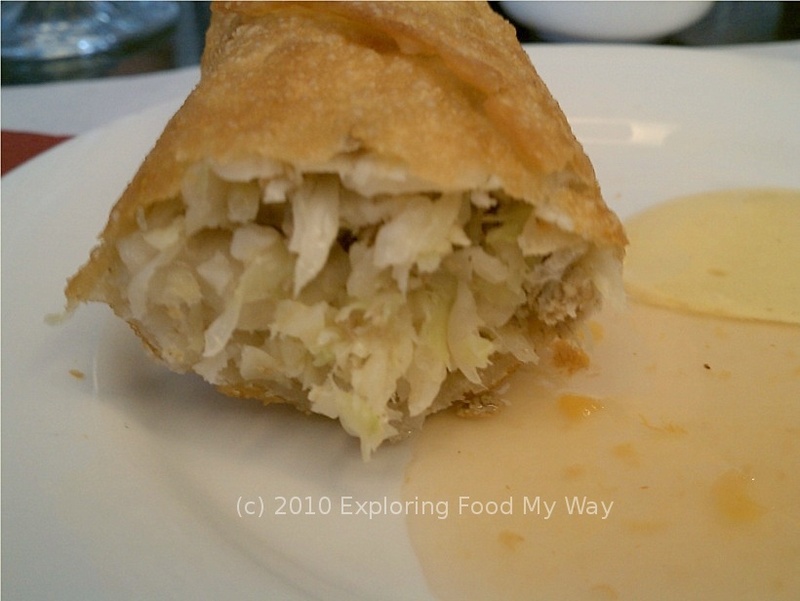 This was a pretty tasty egg roll. It was nicely fried and wasn't too greasy. The vegetables inside the roll were crispy and hot, but were softened just slightly from the pre-cooking of the filling. The sauces were pretty standard and I have to at least be thankful that the "sweet" sauce wasn't of the bright neon red variety. I could taste the actually fruit flavor in the sauce. and dug in. On the positive side, the flavor was quite delicious. 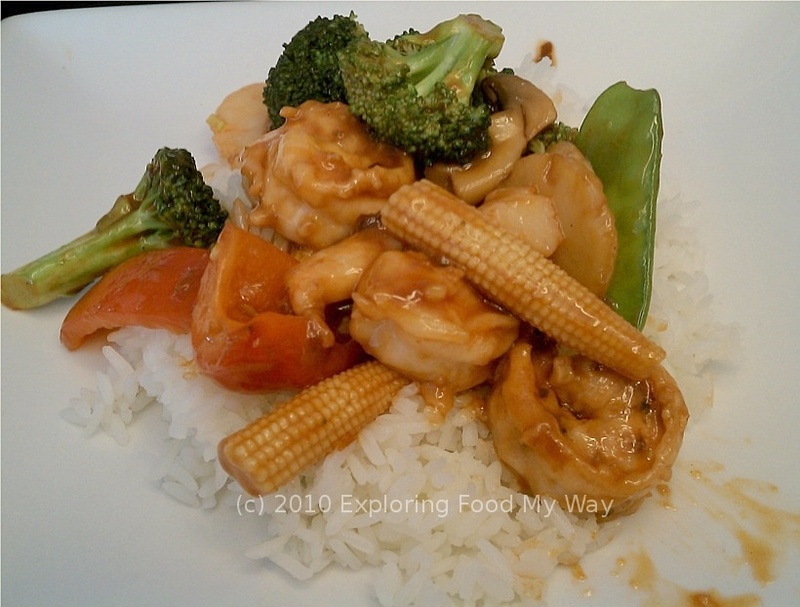 The sauce had a nice balance between sweet and sour and the vegetables were cooked nicely, just a bit tender while still maintaining the crispy edge. The scallops were luscious and soft and sweet and complimented the sauce quite nicely. The shrimp, while not quite as sweet as the scallops, were on the verge of being overcooked having a just slightly rubbery quality to them. But even that little quibble wasn't enough for me to say the dish didn't live up to its full potential. 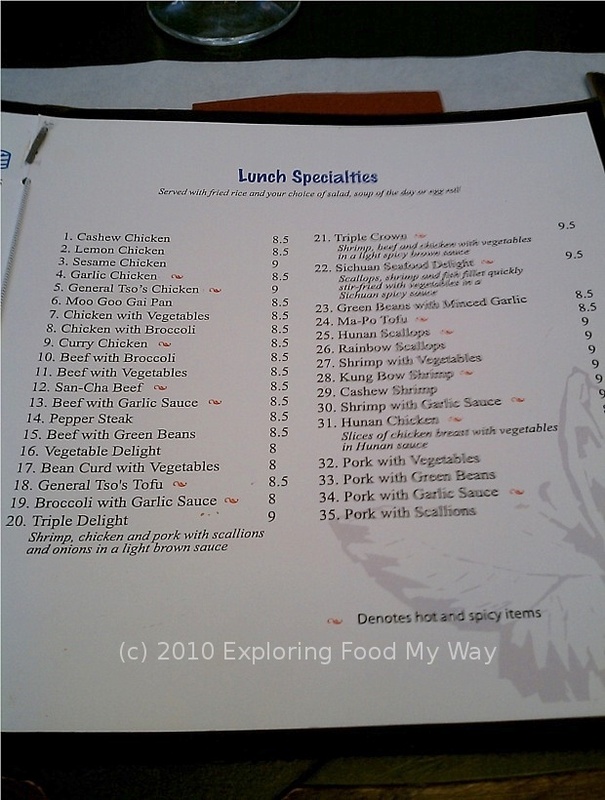 What did, however, was the utter lack of any spice, in the form of numbness or spicy heat. I took bite after bite, assuming that it would build up, but absolutely nothing happened. I would've sent it back to have them re-fire it except that by the time I made the realization, I was already half-way through my lunch and didn't particularly want to hassle with it. After I finished my meal and we paid the check, I approached the woman with whom I had first talked about today's special. I told her that while it was tasty, there was absolutely no fire at all to the dish. She looked at me with an obviousness in her gaze and said that unless specially requested, the Ma-La Delight is always made mild. At this point, I actually thought to myself, "Then why do you call it Ma-La Delight? Why not call it Sweet and Tangy Delight? 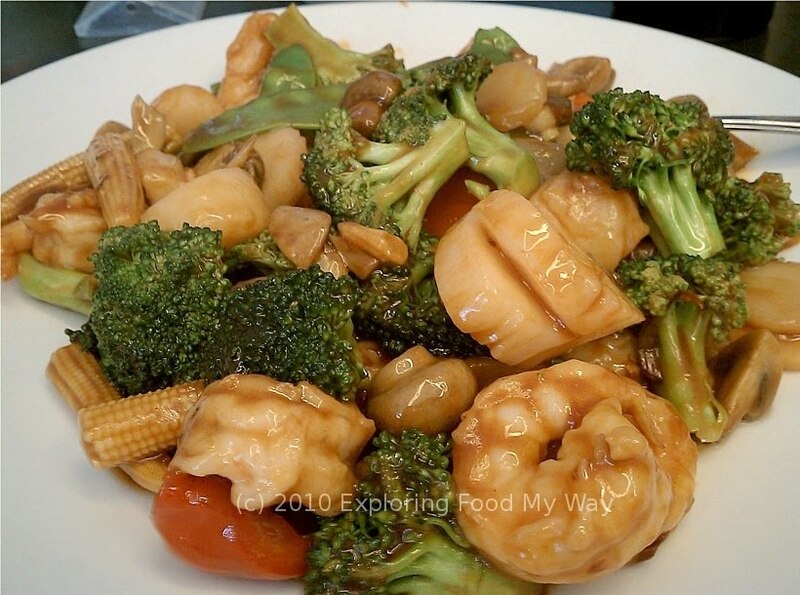 Or Seafood Delight?" When I asked her how to order it properly the next time I (or more likely you, gentle reader) come back, she said that I should ask for it, "extra spicy." What struck me as odd was that when my companions ordered non-Ma-La dishes off the menu, they were each asked how they wished it to be prepared. I, ordering a dish that by it's very name suggested that it should contain lots of spice and heat, was never asked that question. I sighed as I pondered the logic behind this new bit of information. I understand that most Americans wouldn't want it super spicy with mouth numbing properties. But at least give me the chance when I order it to make that decision for myself. All that being said, each of my other dining companions today said that they really enjoyed their meals. I enjoyed mine, too, but not at the level I know I expected. 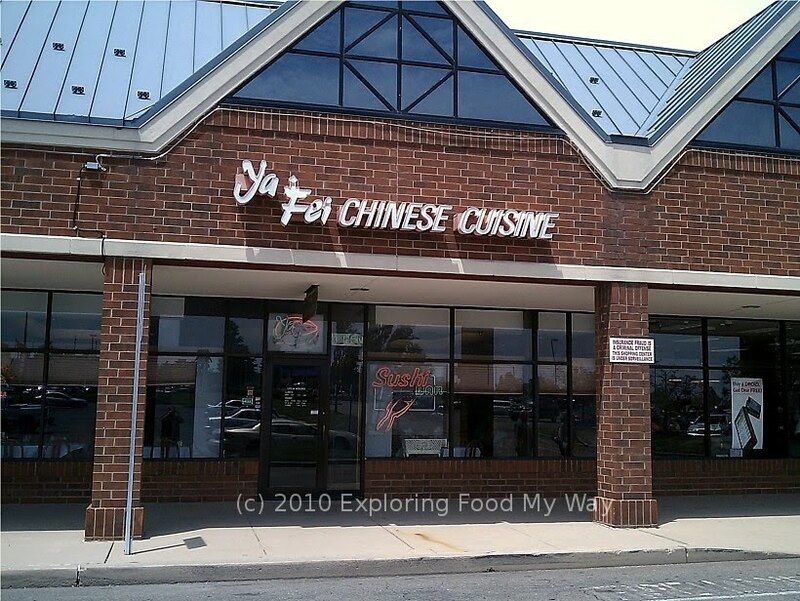 If the true Szechuan peppercorn experience is what you are after at this local Pittsburgh restaurant, make sure you speak up when you are ordering and never assume that just because it's in the name of the dish, that is what you will actually get. Bummer! 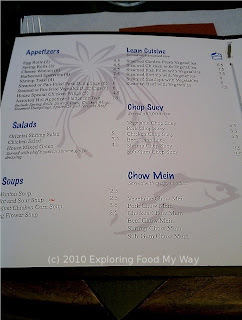 I wish you had been with us yesterday in Cincinnati where we had real Sichuan at a place I stum;ed across on the internet callde Sichuan Bistro. It was great! I so wish we had good Sichuan in Cleveland. Next time you're in Pittsburgh, call me! I can give ya a big list of places.. you were REAL close to a great "blogger-friendly" place called Bocktown... they have a Beer Library! 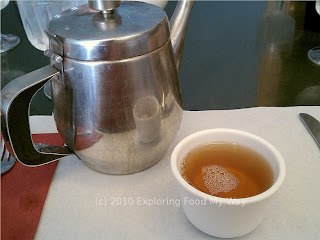 A Southern Tea Room For Asian Food? March of Dimes Contest Winner!